OwnersChoice Funding is doing a Spring Promotion for new pre-qualifications in the month of April. 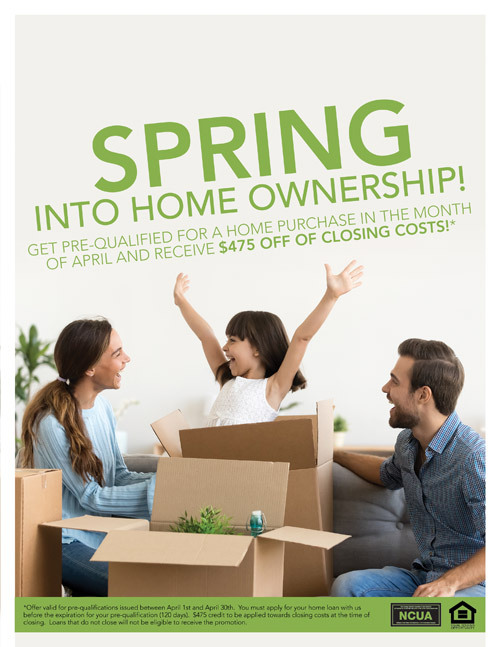 If you get pre-qualified for a home purchase in the month of April, you will receive $475.00 off of your closing costs. *Offer valid for pre-qualifications issued between April 1st and April 30th. You must apply for your home loan with OwnersChoice Funding before the expiration of your pre-qualification (120 day). $475 credit to be applied towards closing costs at the time of closing. Loans that do not close will not be eligible to receive the promotion.